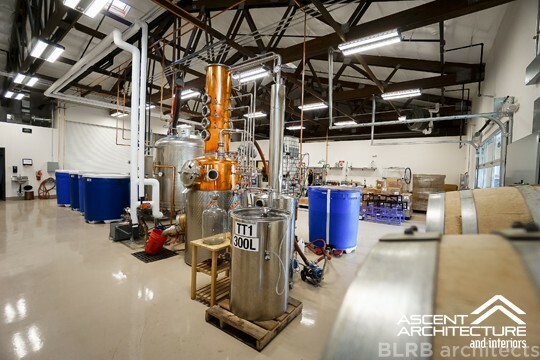 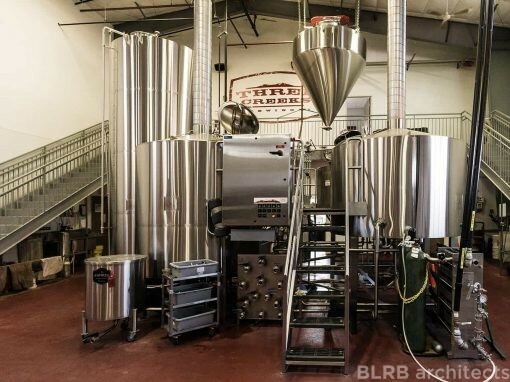 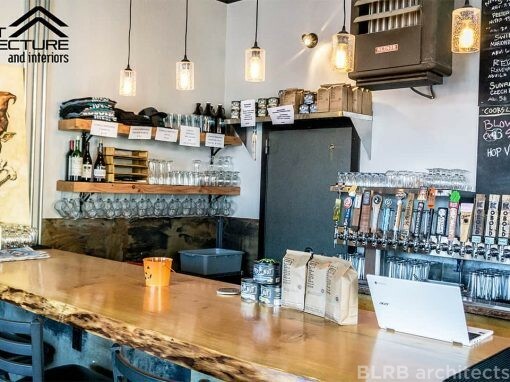 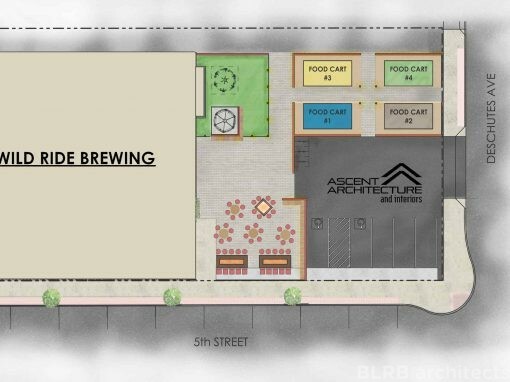 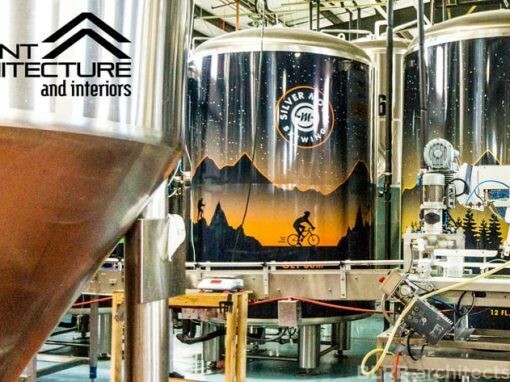 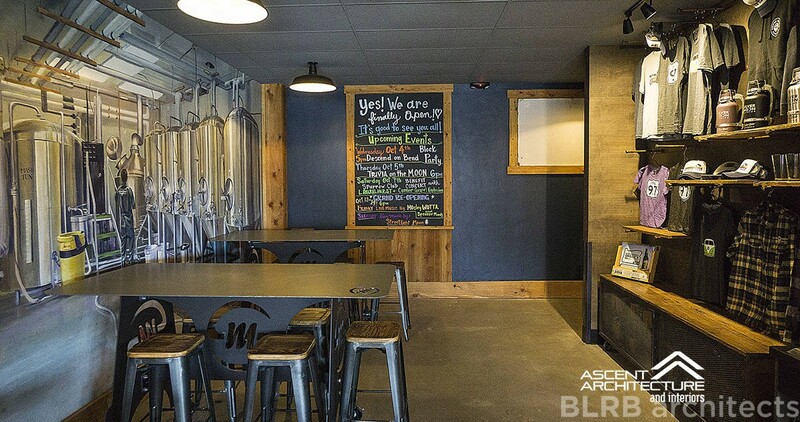 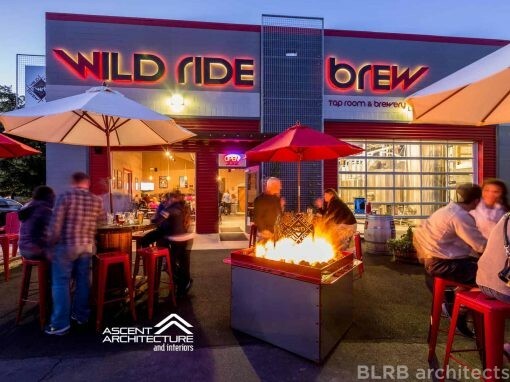 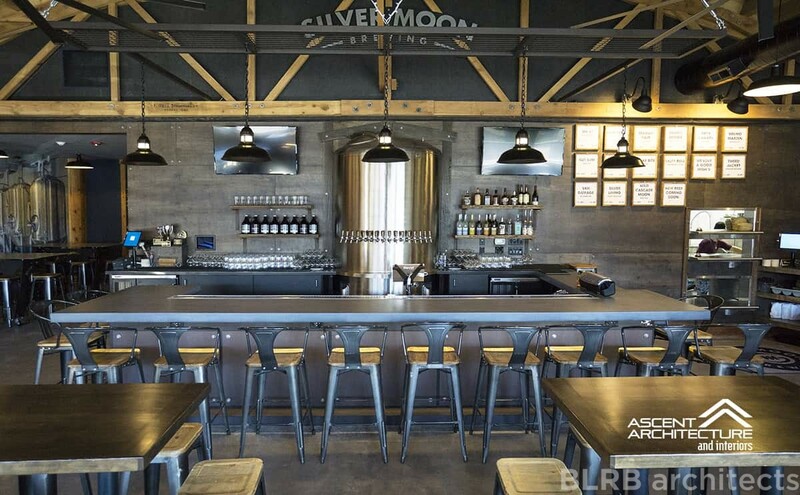 After Ascent designed Silver Moon Brewing’s production facility in Redmond, Oregon, the brewery owners hired us to remodel the brewery’s pub in downtown Bend. 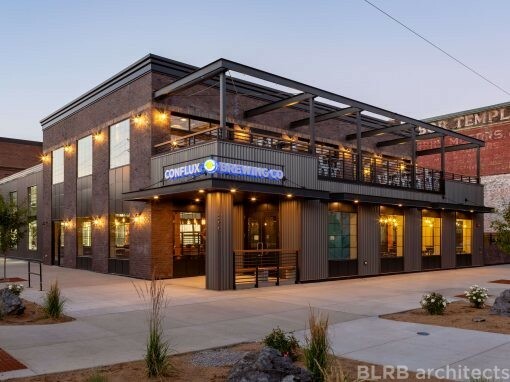 We provided architecture and interior design services for the complete kitchen and restaurant renovation, creating contemporary industrial pub that pays homage to the brewery’s production facility and and supports its brand. 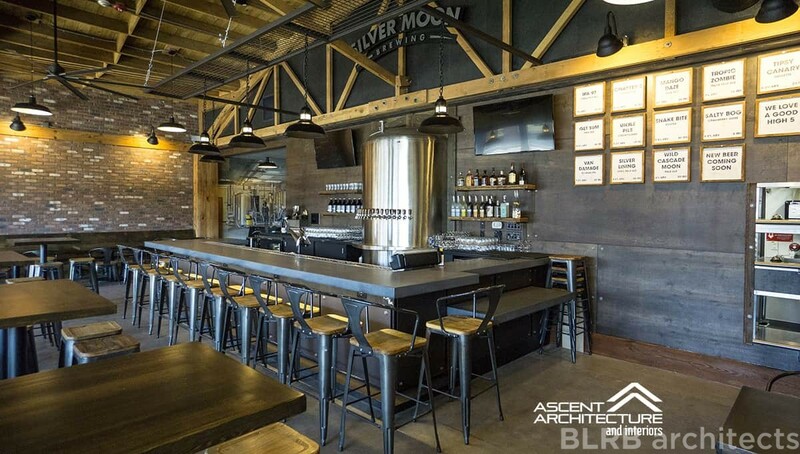 The finished project includes metal and concrete bar finishes; a metal mesh used for railings, partitions, and casework; exposed ceiling trusses; and barn-style lighting. 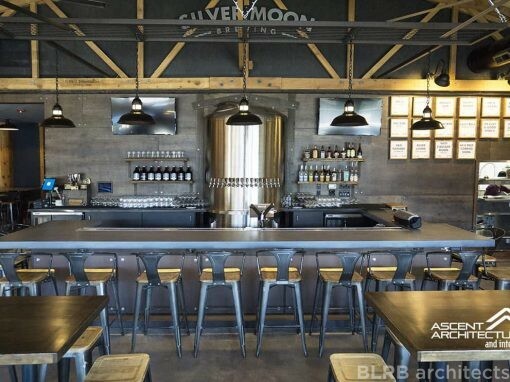 Our interior designers took inspiration from the building’s uncovered wood ceiling structure and the brewery’s brand and selected industrial materials for the space. 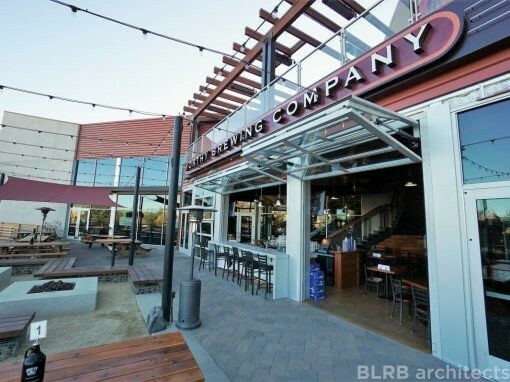 This area, outside of the main restaurant, is used to display brewery merchandise.